Renowned as Europe’s cruise capital, Southampton is a popular destination all year round. From its fantastic shopping quarters to its many maritime attractions, art galleries, museums, eateries and award-winning parks, there really is something to suit all in this thriving city. Stay in one of our Southampton Airport hotels and embark on an exciting adventure with the entire family. 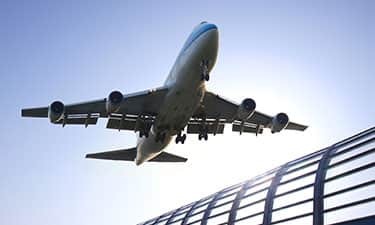 Apart from being conveniently located near Southampton Airport terminals, it’s an ideal destination for a weekend break or longer. Book one of our hotels near Southampton Airport and explore everything this thriving maritime town has to offer. If you’re interested in learning more about this city’s history, a trip to the SeaCity Museum is a must. Located one mile from our Southampton hotel, it’s here you’ll discover a variety of exhibitions and instalments all year round. Other nearby attractions include Eastleigh Lakeside Railway. Positioned five miles from our Southampton Central hotel, this dual gauge miniature railway boasts a busy calendar of events all year round. The Solent Sky Museum is another popular tourist attraction, especially with those interested in aviation. It’s here you’ll discover more about the Supermarine Spitfire, R J Mitchell. Whether you’re visiting for the first time or you’re embarking on a return visit, when you stay in one of our Southampton Airport hotels, you’ll find yourself on the doorstep to an array of activities and attractions, including the Mayflower Theatre, the largest theatre on the south coast offering a diverse range of productions and a great place to catch a show. The Itchen Valley Country Park is also close by and boasts a picturesque open green space with over 440 acres of beautiful water meadows, and the perfect setting for a picnic in the sunshine.